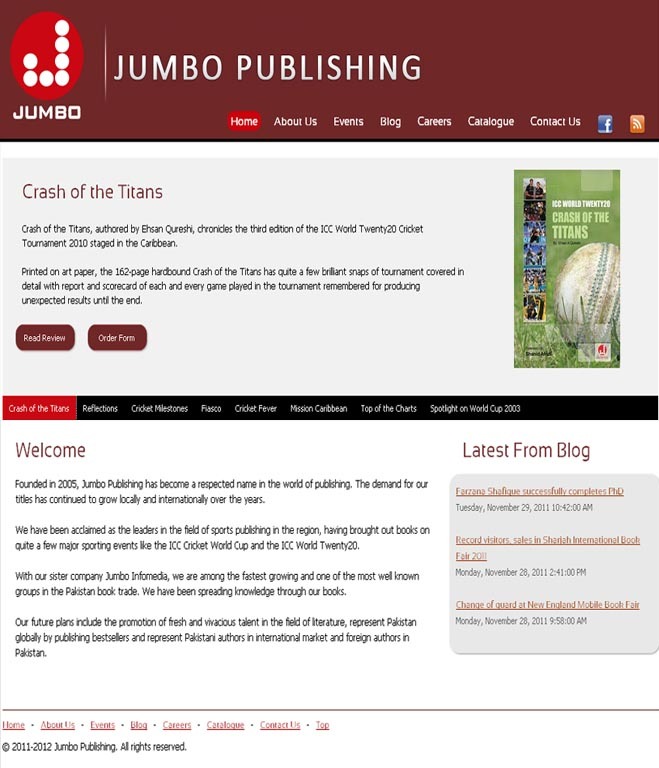 Jumbo Publishing has launched its revamped website www.jumbopublishing.com which offers customers greater knowledge about its books in addition to important news and updates. The newly designed website is user-friendly that makes it easy for the customer to find and learn about Jumbo Publishing’s books. The customers can easily read a review of the book they are interested in. They can also order it very conveniently by downloading and printing the f orm and sending it over with the cheque/draft of the appropriate amount. 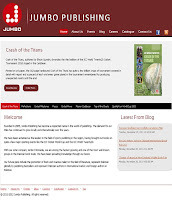 Three latest articles from the blog of Jumbo Publishing, www.jumbopublishing.blogspot.com appear on the home page and the visitors can access them rather comfortably. The launch of our newly redesigned website is in line with Jumbo Publishing’s philosophy of spreading knowledge and providing the best possible services to its customers.